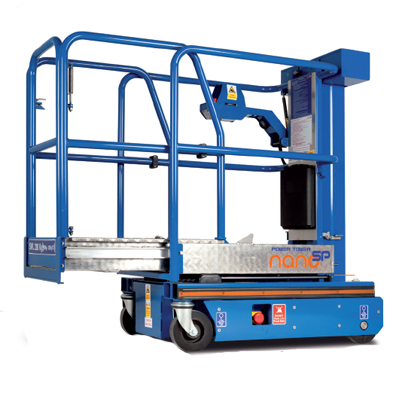 The Power Tower Nano SP is the ultimate in self-propelled, low weight, low-level access. Power Tower Nano SP is low weight so can be used on raised access flooring and is easy to transport. Step into the platform, drive into position, elevate, drive when elevated. Simple. Safe. Efficient.